Archival photos are courtesy of Judge Mikva. Welcome to a Conversation with History. I am Harry Kreisler of the Institute of International Studies. Our distinguished guest today is Abner Jay Mikva. 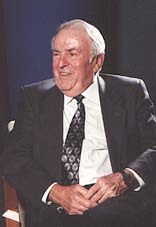 Mr. Mikva served as White House Counsel from October 1, 1984, until November 1, 1993. Prior to his appointment, he served as Chief Judge on the U.S. Court of Appeals for the District of Columbia circuit. 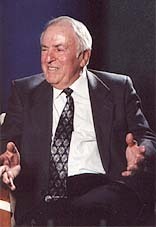 He was appointed to the bench on September 27, 1979, and became chief judge on January 21, 1991. Before coming to the bench, he was elected to Congress for five terms, representing portions of Chicago and its suburbs. 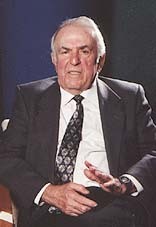 Judge Mikva served on both the Ways and Means Committee and the Judiciary Committee while in Congress. He started his political career in 1956 in the Illinois House of Representatives, where he served five consecutive terms. This year, he is a Jefferson Lecturer at the University of California.